Eating: Fried peas & gummie bears, purchased from an Amish Bakery somewhere between Jackson & Alabama. So bad, & still so good. Wearing: My go-to denim pleated shorts with a hand-me-down sailor striped tee from new roomie. Sharing space, and closets, is just too much fun. 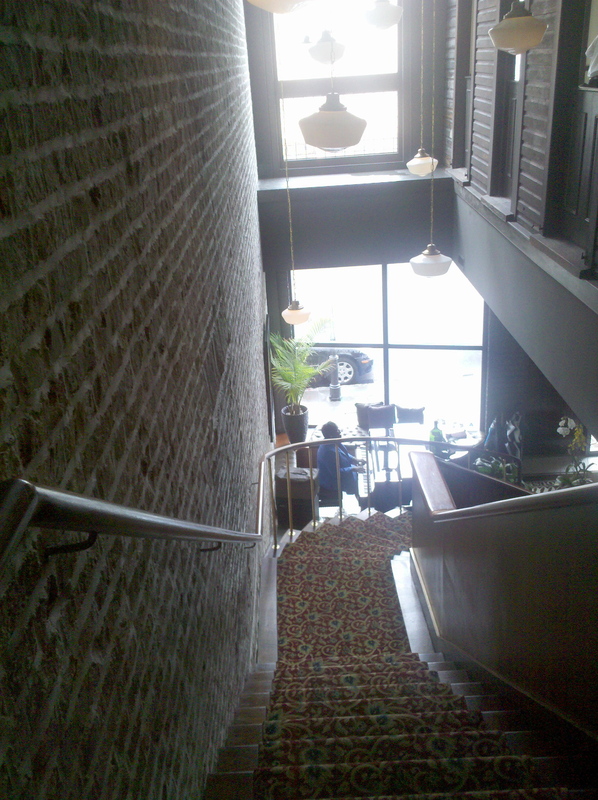 I’m posting today from the comfortable couch of my home away from home in Birmingham, Alabama. One half week spent at school & Abby & I were itching for a mini break in her hometown, hitting up all of the shops we’ll be doing without back west in Tennessee, between sleeping in & eating out. And speaking of eating out, I’ve been meaning to share a little something of my last Charlestonian supper. 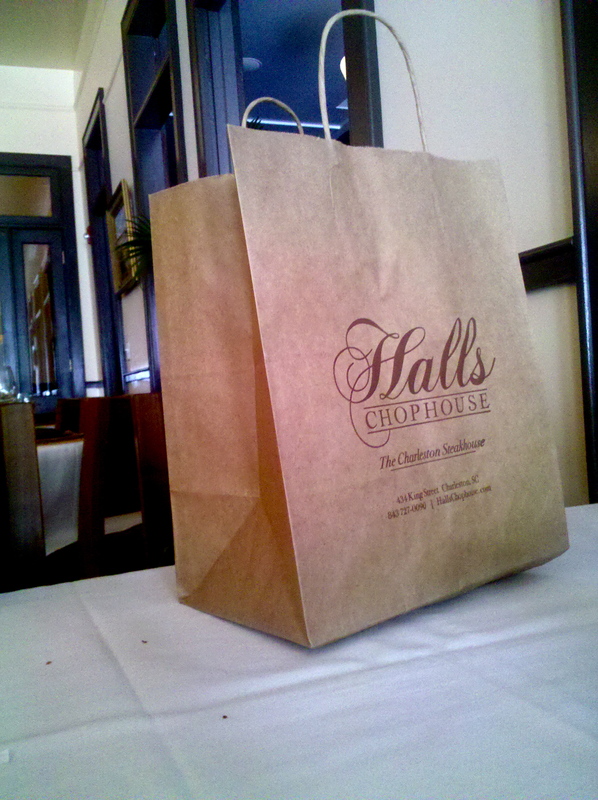 When my parents asked where I’d most like to go that Sunday afternoon, I instantly opted for a second taste of brunch at Halls Chophouse. And let me just say, we were not disappointed. 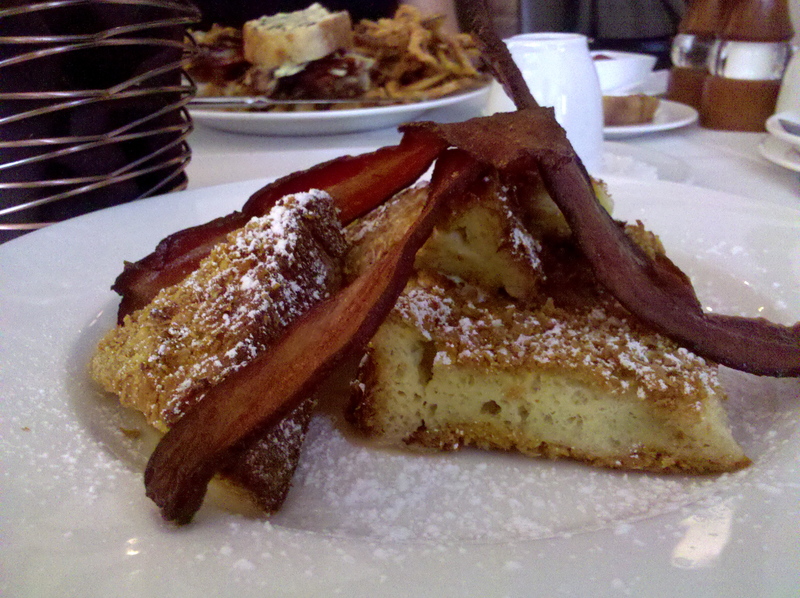 My bacon crowned french toast? A delight. Fold upon fold of flavor – lavender, maple, espresso – add a subtle yet signature twist to the classic dish. And of course, the steakhouse was spot-on in their meat, doling out bacon in generous slices & heavy on the flavor. Oh – & I forgot to mention the fresh-from-the-oven popovers they set out for starters – so warm & somehow comforting that I could almost close my eyes & be home, snuggled down in the coziest of chairs, or watching the sun rise from a rocker on the back porch. But even with the mouth-watering menu in mind, I’m still not quite sure whether it’s the fare or the atmosphere that keeps me coming. In a world where coffee dates & conversation are increasingly replaced by instant messaging, & a kind word from a stranger is even harder to come by, the genuine service & attention given not only by the wait staff but also the Halls themselves is refreshingly unique. All this set to the tune of a gospel piano & the rich, powerful tone of a woman’s voice as she sings “Summertime, & the living is easy,” & breathing in the sweet smell of my breakfast, I smiled. I couldn’t agree more. Summertime, stay a little while longer, would you?